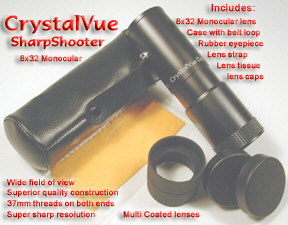 This is the CrystalVue Optics SharpShooter Lens. 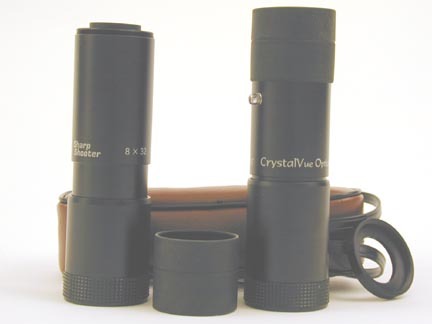 This lens is an 8x32 and comes with a case, rubber eye cup, lens caps, strap, and 37mm threads on both ends. The lens comes with one adapter as well to attach to your camera. This lens works well with smaller lens cameras. It originally was made to use with the Nikon Coolpix brand of cameras and can now be used with many more. 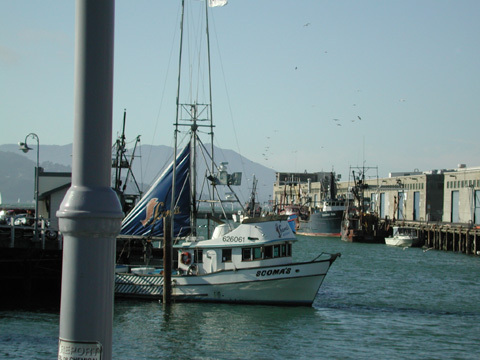 The Olympus 5060 works very well along with all the Canon Elph cameras. Those with Nikon cameras with 28mm threads (800,900,900S,950,990,995,4500,775 with UR-E3 adapter, 885 with UR-E4 adapter or equiv., 880 with UR-E2 or equiv, 5000 with UR-E5 or UR-E6 or equiv)do not have to order a 28-37 adapter as one will be included with the lens. 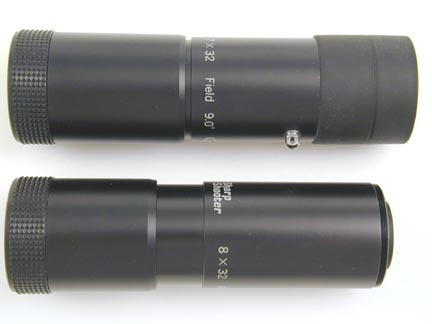 UR-E5 is 46mm so if you have this let us know on the order and we include a 46-37 for you. All other cameras come with an adapter to fit to the lens adapter available for the camera - or the actual thread the camera has. This lens will multiply your camera's focal length by 8x. For expample - the Nikon 995 is a 38mm to 152mm 4x zoom - so realistically you will get a 304mm - 1,216mm zoom with the 995. 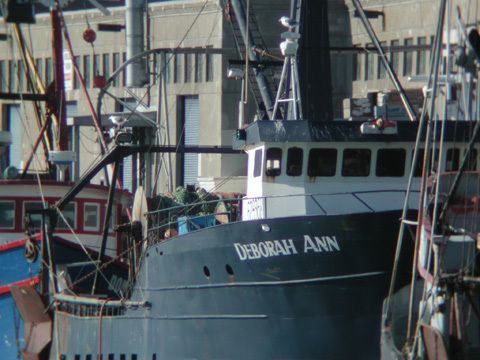 No other lens available can even come close to this zoom range! 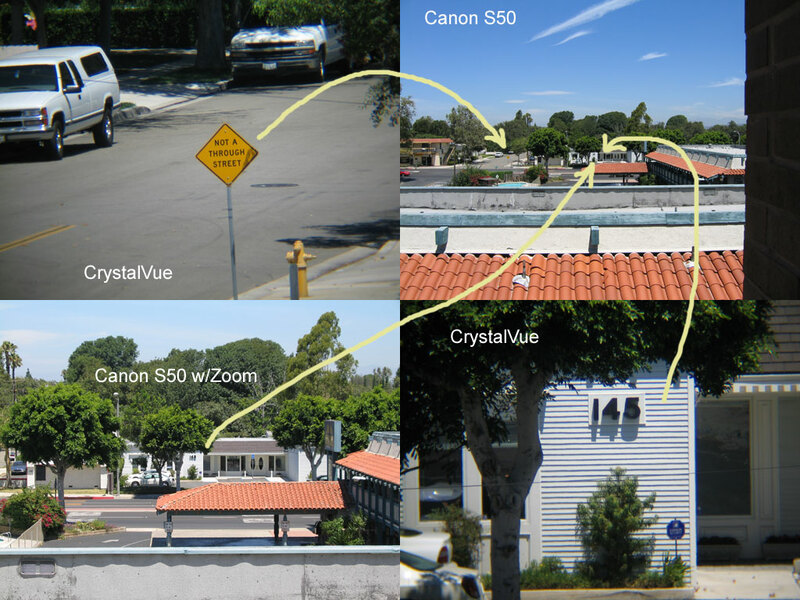 Not all cameras can zoom all the way back to wide angle without getting vignetting like the Nikon 995. This lens also does better with those cameras whose iris actually moves toward the front of the camera when zooming. To see this you will have to look into the glass element from the front of the camera and physically zoom to see which way the iris moves. This lens now also works very well with the new Ricoh 5000 GPS cameras. 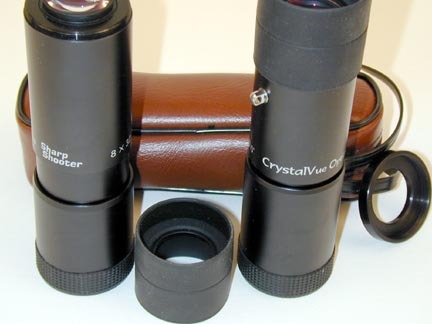 The Lens comes with lens protective covers, black pouch with belt loop, removable rubber eyepieces so it can be used for monocular viewing, lens strap, lens tissue. We will have all adapters available for use with many cameras.